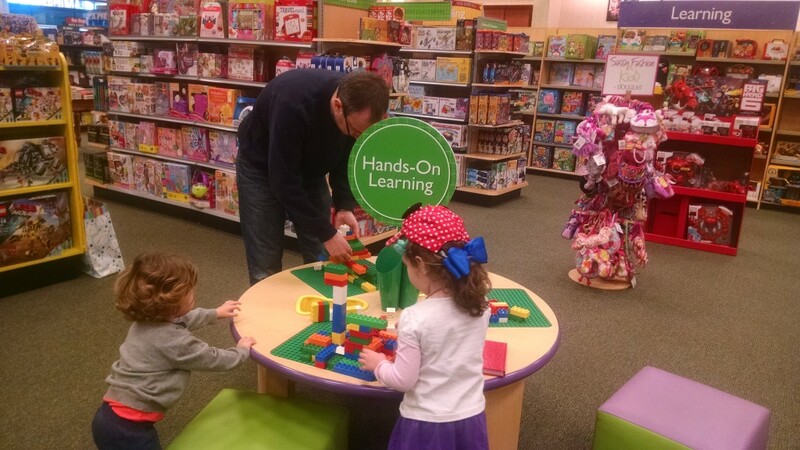 You may not realize it, but Barnes and Noble is actually a really great place for kids. 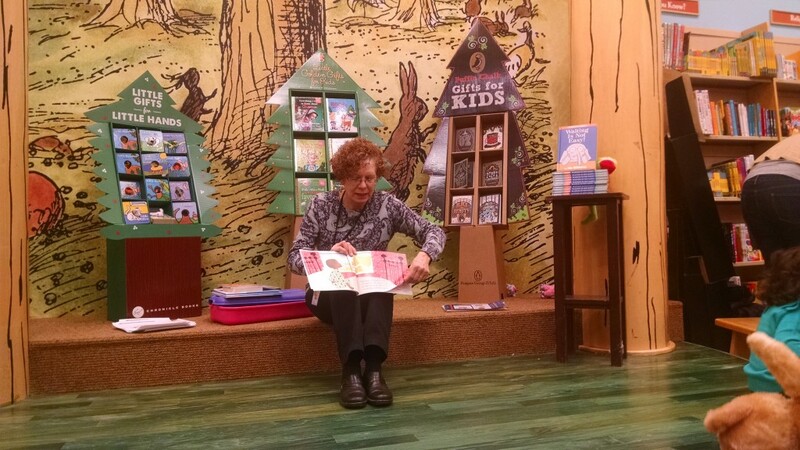 Most stores have a weekly story time for toddlers as well as a Kid’s Club loyalty program. 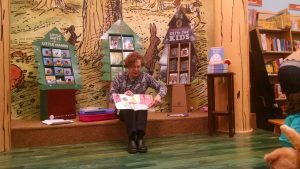 The store in Walpole has a cute little stage where the storyteller sits and benches for the little ones to gather ’round. After an employee reads a few stories to the kids, they bring out some arts and crafts to further entertain them. Kids who can’t sit still for the stories (often many) are encouraged to go check out the lego table or train table. There is a large toy section organized by age for moms to shop as well. I like to knock a few birthday gifts off my list as my son plays Lego. The Kid’s Club is a free loyalty program which offers you a coupon upon enrolling and then allows you to earn points towards a rewards certificate. Even better, it gives each child a free cupcake from the cafe on their birthday. 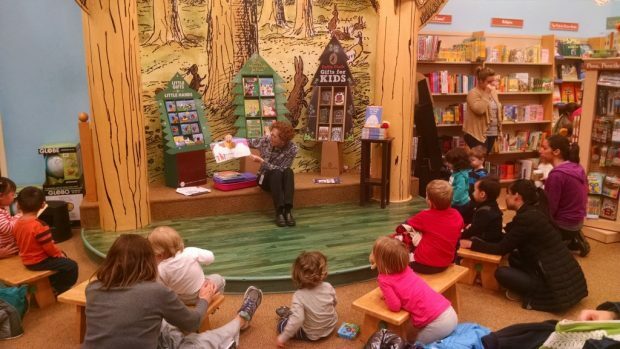 I’m always amazed at how many parents and kids come out to storytime. Especially since most of the kids don’t sit and listen. But regardless, its a nice warm place to venture to that welcomes your little ones with open arms. It’s nice to see some other adults once in awhile too! 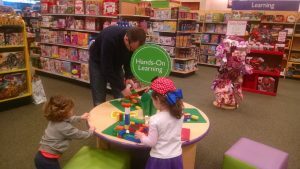 After storytime, we usually head over to the Walpole Mall play area and then down to the quarter rides by the arcade at the end of the mall. All in all, a fun filled morning for a toddler.